One thing I loveabout Korea is their people's love and passion about flowers. Everwhere you go there's an array of neatly arranged flower beds and gardens. It's so refreshing on the eyes. 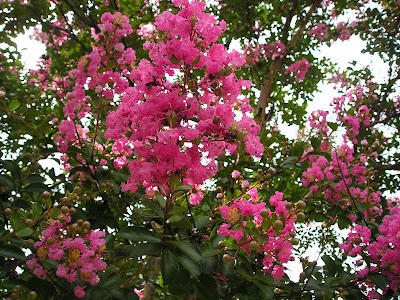 Aside from the famous cherry blossoms, I also love this flower called 100 days. 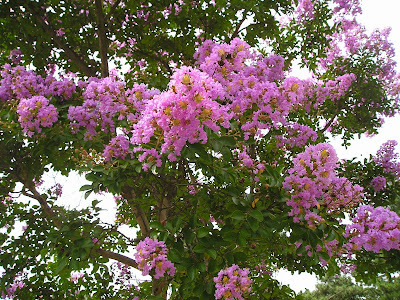 Lilac and pink are the colors of the flower when they bloom. Here's the beauty. Aren't they pretty? Wondering why its called 100 days? 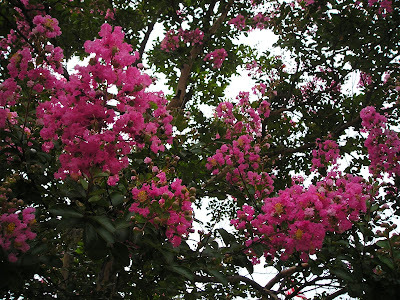 Our tour guide told me that it is called by that name because the blooming of the flowers takes 100 days from August-October. 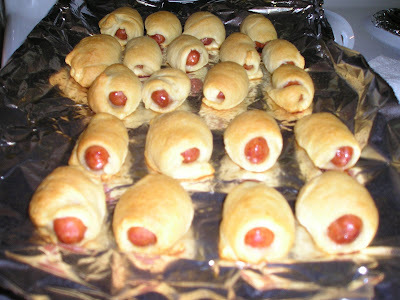 Me and Rylie made pigs in a blanket for our merienda (snack) this afternoon. We had fun doing it! It's so quick and easy to prepare. We bought a pack of Pillsbury crescent roll and wrap up the smoked sausages, put it in the oven and bake it for 20 minutes and its done! uhhhmmm yummy! Try to do it with your kids, its fun!